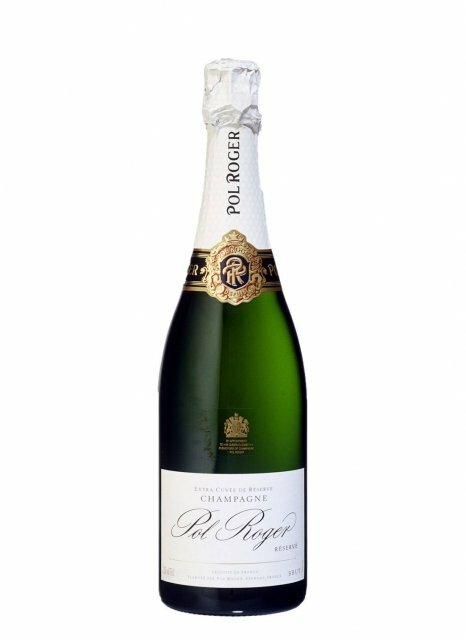 Straw yellow and with a golden hue in color, the Pol Roger NV Réserve Brut displays a brilliant, perfectly ripe but also fresh, highly elegant and refined fruit aroma on the nose; think of cooked pip fruits like pears and apples, but also quince ­confiture and yellow stone fruits, such as apricots and peaches intermixed with vanilla, brioche (pain aux raisins), some nutty flavors and also some white floral notes. On the palate, this medium­ bodied Brut is as round and fruit­ driven as it is delicate, pure and very elegant. The mousse is deliciously fine and leads this charming and perfectly balanced fizz to a long, aromatic, stunningly dry and slightly mineral, impressively long finish. This is extremely well done Champagne from equal parts of Pinot Noir, Meunier and Chardonnay sourced in 30 different crus.